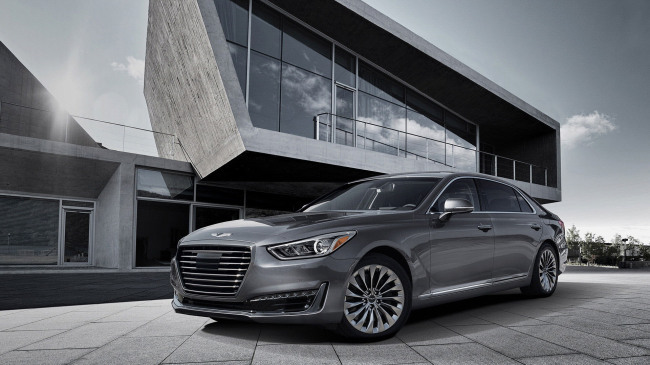 [THE INVESTOR] Hyundai Motor ’s new premium luxury sedan Genesis G80 made a successful debut in the US market. The G80 is a rebadged version of the previous Genesis sedan. The carmaker revamped its upscale sedan car lineup under the refurbished brand name Genesis in November last year. The luxury limousine Genesis G90 is expected to hit the US market in October. In the meantime, Hyundai and its smaller affiliate Kia Motors saw their combined car sales fall slightly in August. Hyundai’s sales remained almost flat at 72,015 units, while Kia suffered 7.9 percent decrease to 54,248 units on-year largely due to slowing sales of its best-selling Optima sedan and Sorento SUV. The Korean duo sold a combined 126,263 units the US, down 3.5 percent from 130,909 units a year ago.